Why not purchase your backdrops and stand all in one stop? 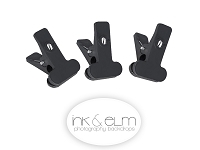 You will love our backdrop stand for it's ease of use and amazingly simple set up! The easiest solution to hanging your backdrop in the background of your photo shoot is with a photography backdrop stand. Simply clamp the backdrop to the backdrop stand and voila-- you're ready to shoot! • 6-1/2 ft Max. fully extended height and 2-2/5 ft Min. height. • Four-section separate crossbars can adjust width from 5-1/2 ft to 10 ft easily. • Extra wide footprint with rubber tips for more stability. PLEASE NOTE: Backdrop stands may ship separate from other items.